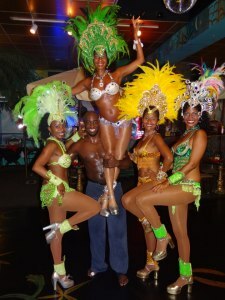 From an elegant Samba show, to gourmet Brazilian cuisine, Sambart Entertainment can provide the event enhancement that you are seeking. Let us custom tailor a cultural experience to meet your needs. Learn about Sambart Entertainment, where we’ve been, where you can find us, and what we have to offer. What is Samba anyway? 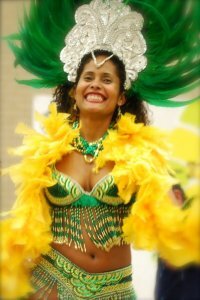 Find out about the history and details of Samba. Our spectacular shows combine dynamic Sambas, brilliantly feathered and sequenced costumes, and contagious rhythms, guaranteed to fascinate your guests and enliven your event. Sambart Entertainment is proud to present world-renown dancer and choreographer, Sonia Pessoa, a native of Bahia, Brazil, who has performed and taught Samba and Afro-Brazilian dance for over 15 years.